Amid her attacks on private gun sales, references to Alison’s murder, and claims that background checks work, Watts omitted this key information–Alison’s murderer did not buy his gun privately, but from a retailer, and he passed a background check to acquire the handgun. Moreover, she failed to point out that the vast majority of all public attackers and alleged attackers during the last 15 years have purchased their guns via background checks only to then use those guns to shoot and kill innocents. These attackers and alleged attackers include John Russell Houser (Lafayette), Muhammad Youssef Abdulazeez (Chattanooga), Dylann Roof (Charleston), Elton Simpson and Nadir Soofi (Garland), Jared and Amanda Miller (Las Vegas), Elliot Rodger (Santa Barabara), Ivan Lopez (Fort Hood 2014), Darion Marcus Aguilar (Maryland mall), Karl Halverson Pierson (Arapahoe High School), Paul Ciancia (LAX), Andrew John Engeldinger (Minneapolis), Aaron Alexis (DC Navy Yard), Tennis Melvin Maynard (West Virginia), Wade Michael Page (Sikh Temple), James Holmes (Aurora theater), Jared Loughner (Tucson), Nidal Hasan (Fort Hood 2009), Jiverly Wong (Binghamton), Seung-Hui Cho (Virginia Tech), Naveed Haq (Seattle), and Mark Barton (Atlanta). 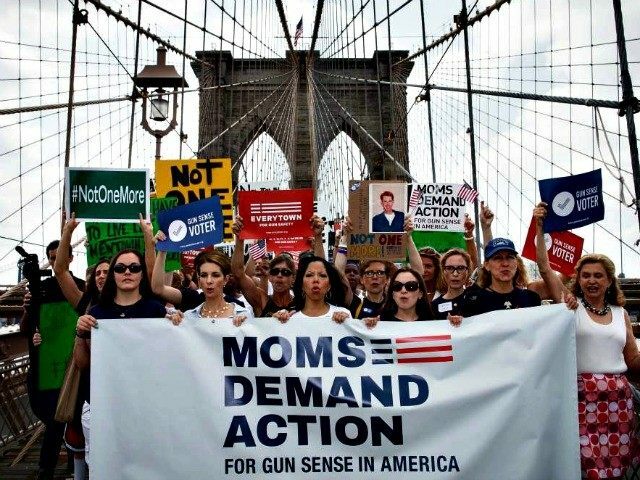 Yet Watts contends that private gun sales are the problem and says her group of moms “are not going away.” In fact, she described women in her group as a bunch of gun control proponents who intend to keep nagging “like drips on a rock” until Congress finally caves.